Football is Changing Lives in Argentina: Fernando Piñol, the other Messi. Fernando Piñol, or “Messi” as he is more commonly known around these parts, picks up the ball on the half way line, darts down the left, before opening his body up, and calmly slotting the ball past the goalkeeper. Barely breaking stride to celebrate, with the number 10 emblazoned on his back, it’s not hard to see how he picked up his nickname. Much like his namesake, Fernando also has the reputation of a player that brings joy to those around him on and off the pitch; “there is nothing better than to watch him play” says his cousin Noelia, “[he] makes you feel those emotions through what he does with a ball” is how his coach Juan describes him. Fernando is a 26 year old man with Down syndrome, and his team is A.C. Andar (Asociación Civil Andar). 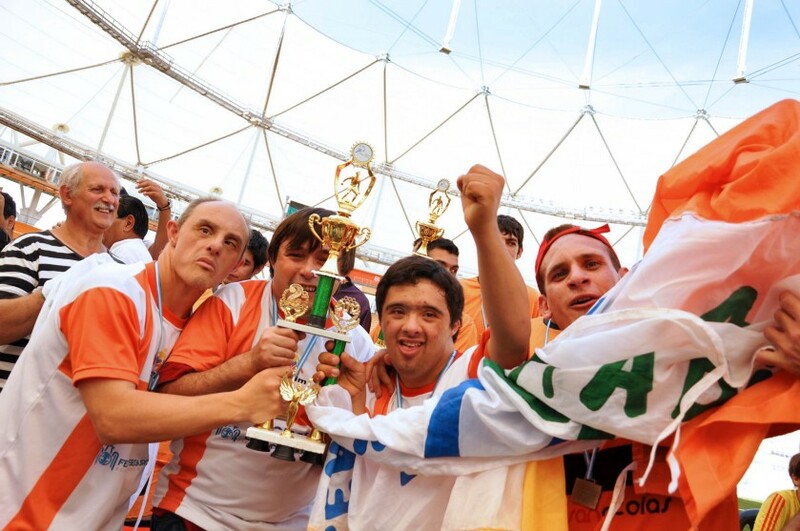 Founded in Buenos Aires in 1985, A.C. Andar is a social organisation dedicated to “developing the potential of people with disabilities”, and for them, football is more than a game, it is a tool with which this goal can be achieved. Before Andar, founder Raul Lucero saw a community that, whether consciously or not, largely excluded those with disabilities from taking part in public life. So he set about trying to create a community in which everyone had a chance “to grow and develop… have a life project”. Despite being just one of many outlets Andar offers its members, Raul see’s football as having a unique power to bring people together and break down barriers, giving everyone a platform on which to express themselves. Perhaps the best known project of A.C. Andar’s is the Inclusive Football League. Taking place once a month, the IFL offers players of all abilities the chance to play together in a shared space, with the philosophy that the teams are dictated by the player’s abilities, not by their disabilities. While still a competitive tournament at its heart, the IFL offers something more to its competitors, a shared commitment to tolerance and inclusion lie at its heart, and above all else a sense of absolute equal standing amongst all players. No one is a better example of this philosophy than Fernando. Entering his seventh year with Andar, football has offered him a unique outlet with which to express himself and develop a range of skills. More than that, it’s offered him an identity, and a sense of inclusion in the wider community. Perhaps most heartening, however, is how unremarkable Fernando’s story really is. His story is that of countless others as well; in Andar, across Argentina, and all over the world.